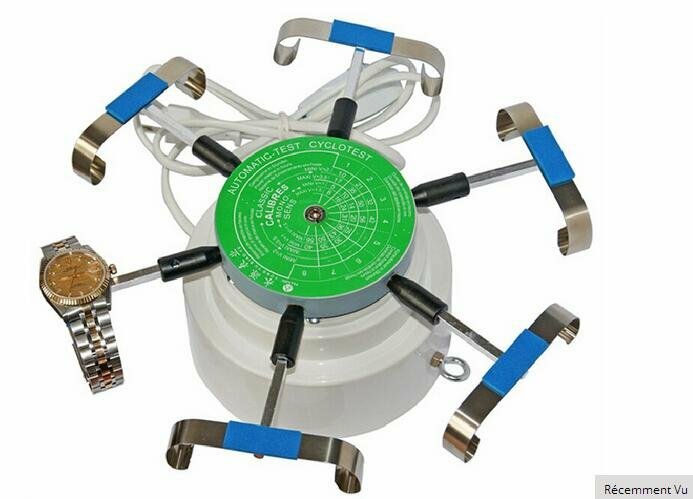 This machine is for automatic watches testing and watch winder tool. It can hold 6 watches with bracelet on the 6 arms at the same time. It can be used in horizontal or vertical position, and it usually takes about one minute for 4 revolutions, with stable performance. It is suitable for watchmakers and watch lovers.